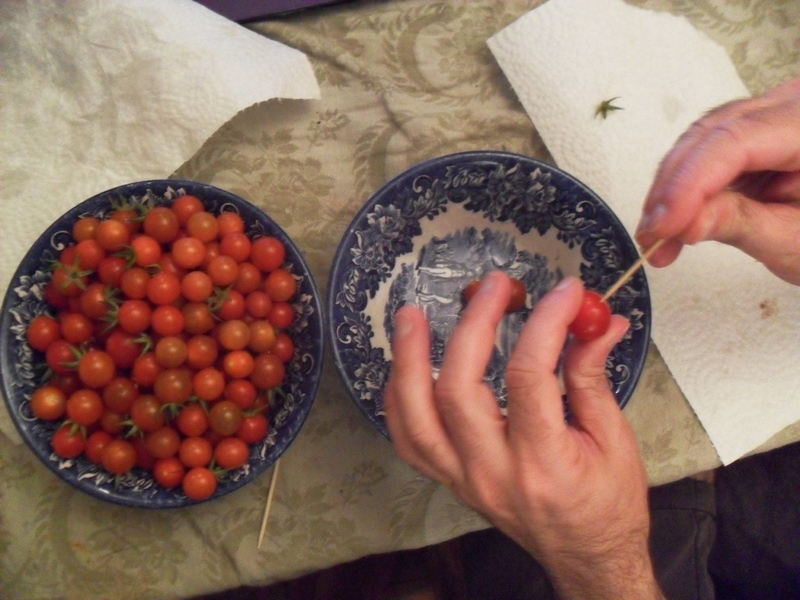 Last autumn, after a particularly disappointing experiment growing tomatoes in buckets, I decided to save the seeds from the few fruits we actually managed to grow and get serious. We started germinating the seeds in April in little plastic greenhouses, tagging and labeling each, hovering over them, whispering encouragements, watching them sprout. Then somehow – I don’t know how – the tags disappeared and all the seedlings got mixed in together. This is how we ended up with a balcony full of cherry tomato plants. 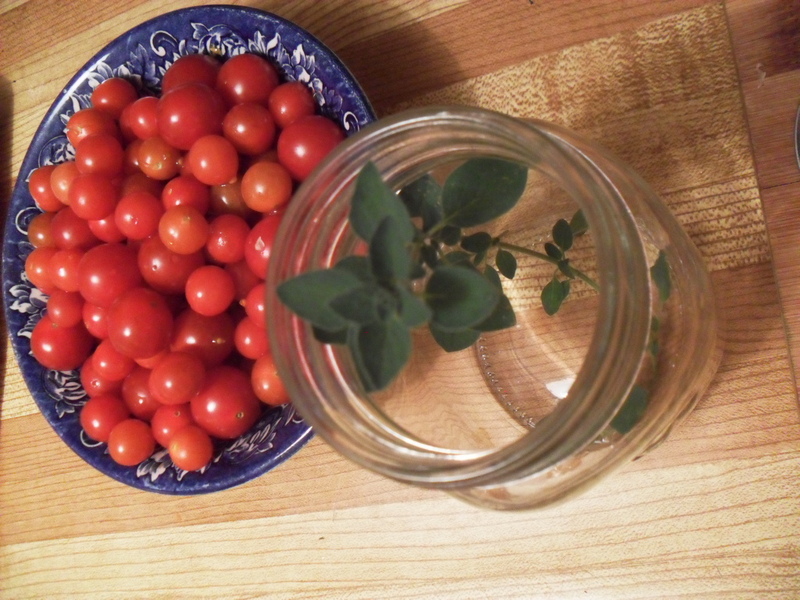 Five large self-watering 5 gallon bucket-planters – all cherry tomatoes. All fighting for space – horizontally and vertically! To get to the other side of our balcony I actually have to get on my knees and crawl. All to say – there’s a lot of tart red things begging to be picked. So many that when the squirrels come I almost don’t shoo them away. Almost… So, here are some of the ways we have decided to make use of them. First – an easy pickling recipe! Pickling brine isn’t hard to make. You need vinegar, salt, and sugar, and your choice of spices (usually black peppercorns, and a stick of fresh herb, like dill, thyme, rosemary). 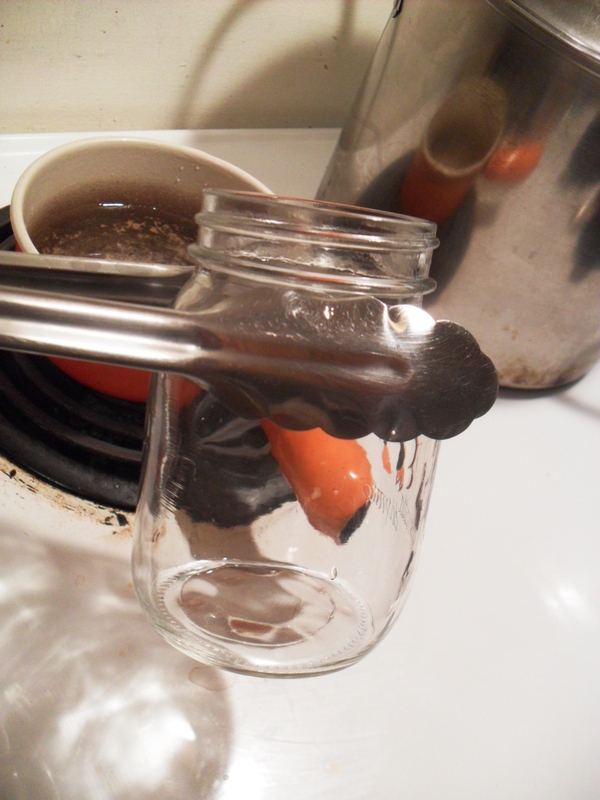 I always thought pickling meant hours of boiling jars, bubbling brine-juice and burning yourself. But apparently it doesn’t have to! 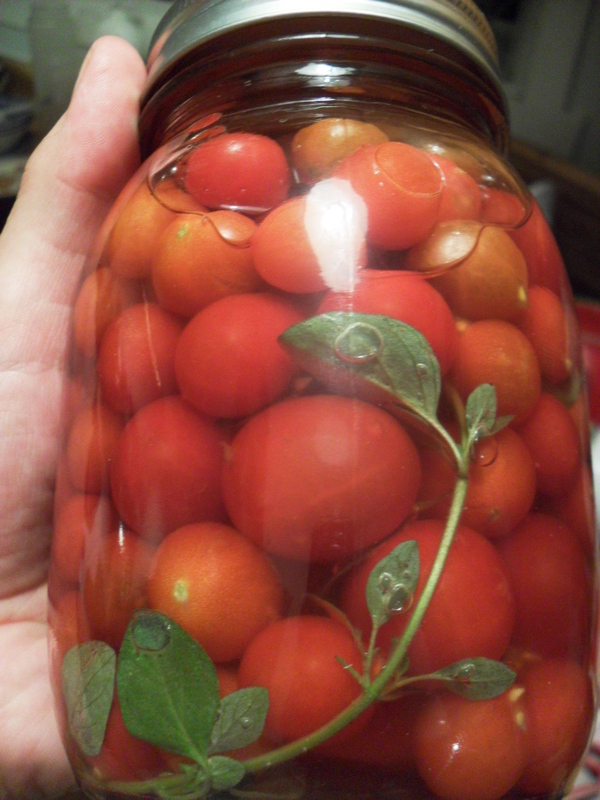 I found this video by PrudentBaby about what to do with excess cherry tomatoes, and used the recipe to pickle a few jars of them (the video is a weird mix of a cellphone ad and cooking – just skip ahead to the recipe part). She says to use apple cider vinegar, but we didn’t have any, so we used red wine vinegar instead, adjusting the ratio slightly. Here is the recipe, which is good for 2-3 jars, depending on the size of your fruit and how much you pack it. and shake off excess water, or pat dry. 1.5 cups filtered water – or 1.2 cups if using red wine vinegar. 4-8 cloves of garlic, sliced. (whoa! this is what she said, but I used organic garlic, which tends to be much stronger, so I only used 2 cloves and did not include them in the jar at the end either). Use your judgement here. 4-6 Peppercorns. Yes! I agree on this, give them a wack though first, to release their pepperiness. Boil this for 3-5 minutes. Let cool. In a cleaned glass jar (I pour boiling water in and over the jar and then let the wire rim sit in boiling water for a few minutes. and then add the cleaned pricked tomatoes. Tap the jar on the counter a few times, to settle the fruit and fill the space with more fruit. Then pour the cooled brine in, and seal the jar up and put it in the fridge. Done! Even without sealing the jar by boiling it, a jar like this can last several months in the fridge, as long as you keep the brine. The taste after 24 hours is nice and fresh, and very tomato-y: they taste like Mediterranean style plate of marinated tomatoes (you know,olive oil, vinegar, salt and pepper). Yummy! You can use these on pasta, in salads, or just as snacks.